What follows is a guest essay by J.R. Teeter, the founding artistic director of Bread &amp- Water Theatre. Since 2000 Bread &amp- Water Theatre has had as its purpose the development of new dramatic works and affordable arts programming for the public. 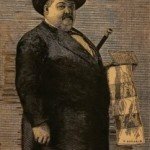 This essay first appeared on the site Preservation News. Rochester, New York has fallen on hard times, not unlike many of the cities across the nation. The Erie Canal, once a major shipping route, is now considered obsolete. The city’s biggest employer, Kodak, is now bankrupt. Major businesses have either downsized, moved out of town, or both. When a new company takes an interest in the city, the red carpet is rolled out and tax breaks are doled out, sometimes at the cost of the city’s legacy. The need for preservation often gets caught in the middle of such debacles, and in this case, puts important structures, vital to understanding of our national heritage at risk. This is a story about two ongoing preservation efforts happening practically at the doorstep of the house of Susan B. Anthony, listed on the National Register of Historic Places. The first preservation story is about a group of preservationists that are undergoing a fight to retain the former Leiderkranz Club. 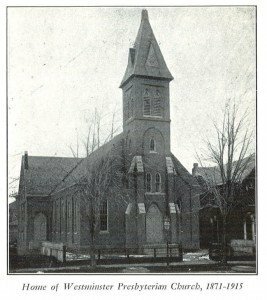 The building was originally built as the Westminster Presbyterian Church in 1859 by a German Immigrant congregation, who quickly outgrew the building and moved to another location in 1915. 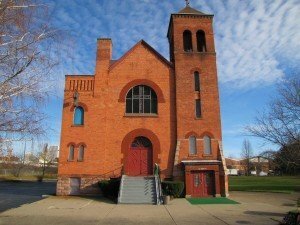 Instead of selling this church, it was used for secular activities of the church members, and renamed the Liederkranz Club, which was open until the 1960’s. After the Liederkranz Club closed, it fell into disuse. A local developer purchased the Liederkranz Club with the hopes of demolishing it. He can make more money if he replaces the church with a strip mall anchored by a dollar store. To help ensure its demise, the building’s plumbing was gutted and as a result fails to maintain its basic structure, which incidentally, is used as a reason to demolish it. The future of this building is still tenuous at the date of this writing, and some preservationists look at it as a cause that started too late. Another preservation group of young artists and educators sees this fight to restore the Liedkeranz Club as an important lesson, and their story begins here. Down the street from the Liederkranz Club is the second church of the African Methodist Episcopal Zion Congregation. The congregation began its history before the civil war, and included Frederick Douglass as one of its more famous parishioners. The site is where the original wood church was built in 1827, that housed that famous congregation, and where Frederick Douglass printed The North Star and Harriet Tubman started the Underground Railroad. One of its famous neighbors was Susan B. Anthony, a good friend of Frederick Douglass. Her house is a short distance from this building and is listed on the National Register of Historic Places. Susan B. Anthony witnessed the growth and prospering of the AME congregation, and saw the second church, a modest brick building built in 1872 to replace the original wood structure on the same property. Susan Anthony would give her last speeches in the new church before retiring from public life. It is also interesting to note that when this church was built, to save on costs, the wood from the original church was taken and reused in the interior construction of this building. There is no stronger argument for believing in the essence of this building, when you consider that wood in this building may have been a door or pillar or floor that the people responsible for ending slavery and helping change the voting rights of women in our country may have walked on, lean on or touched, leaving a bit of essence behind to inspire future generations. 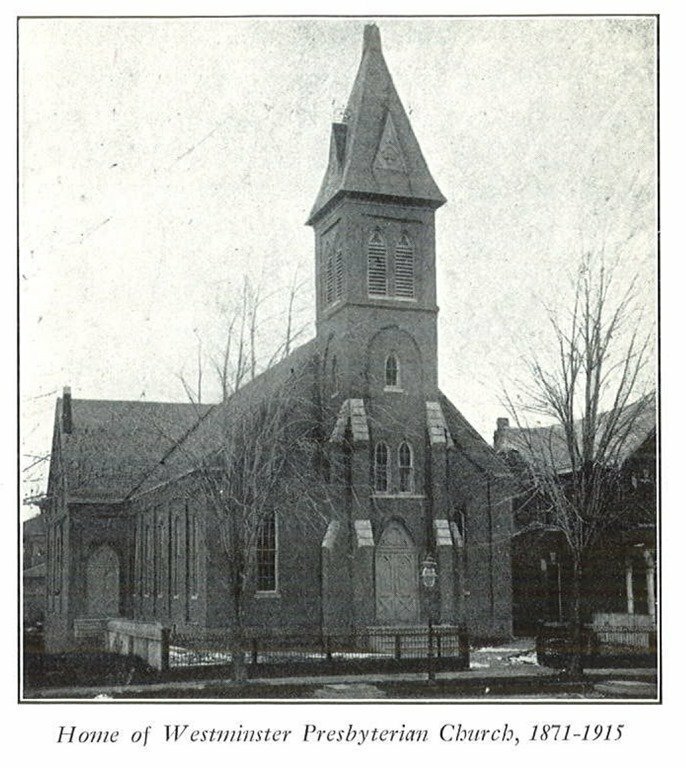 To the left is a picture of what it looked like when it was still the second AME Zion church. Incidentally, the original AME congregation is still alive and well in the City of Rochester. When they moved in the 1970’s they took the precious windows that told the story of the civil rights movement that were especially made for this church and installed them in their new church, which still exists in Rochester. They call themselves the Memorial AME Zion Church. 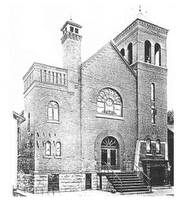 When the AME Zion congregation sold the church to another congregation, it was renamed The Bethlehem Star Church. The Bethlehem Star congregation has been worshiping there ever since. However, they have grown old and found the building hard to maintain with its dwindling membership. They have recently placed the building up for sale. Will this building be the next casualty in the preservation fight? Bread and Water Theatre hopes not. Bread &amp- Water Theatre wants to purchase the building and use it as an arts and cultural center. The current condition of this neighborhood is dire. It is home to families that are plagued by higher crime, drugs and urban blight. Their children go to schools with 50% graduation rates. Furthermore, many of these families do not have access to arts and cultural programming that has been shown to improve children’s grades and ability to contribute to society in a positive manner. This brings us to this final important thought…Historic preservation is not only about saving buildings. It is about saving communities. Bread and Water recognizes that this church is a symbol of Rochester’s rich civil rights legacy. Its decay and loss would affect the immediate community, the City of Rochester and the legacy that the building represents. The adaptive reuse of this building is a golden opportunity to preserve it and offer the community something it desperately needs, a cultural connection inside the walls that help to create leaders that advanced our freedom and civil rights. In this way, adaptive reuse is really the “Bread and Water” of preservation. In order to keep historic buildings alive, they must continue to create history and be relevant to new generations. And how fitting that this vision includes teaching future generations to be empowered and to be heard&#8230-bringing the building back full circle, reinforcing the essence and legacy of those original leaders that stood here so many years ago. The first step is to help Bread &amp- Water Theatre purchase this building thereby preventing a preservation fight before it occurs.. To obtain information on donating contact Bread &amp- Water Theatre at info@BreadandWatertheatre.org or call 585.271.5523. All donations are tax deductible. To donate directly via the internet visit the following link: http://www.breadandwatertheatre.org/support/donate.htm.